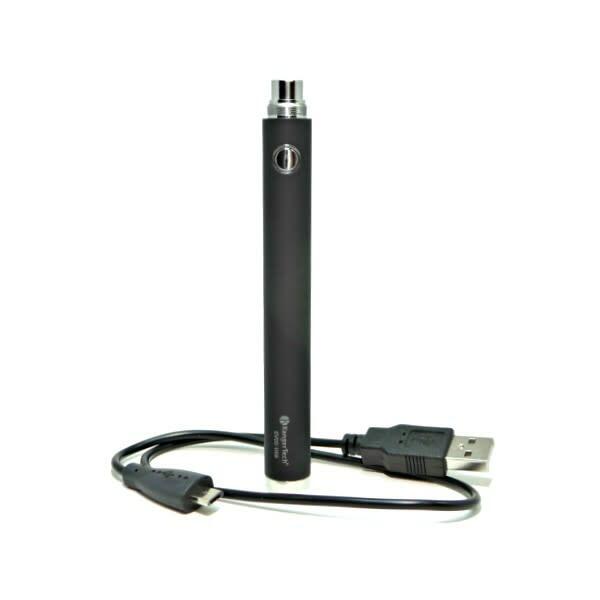 Kanger EVOD USB 1000mAh - Vape while charging standard eGo/510 battery. The Kangertech EVOD USB 1000mAh battery is perfect as a replacement for your Cloud Maker, or any vaping device using and eGo/510 threading, and has the added bonus of passthrough vaping thanks to its mini-usb port, and an extended battery capacity of 1000mAh, which will be good for an equivalent of two packs for most. Full-charged battery can support about 1000 puffs.